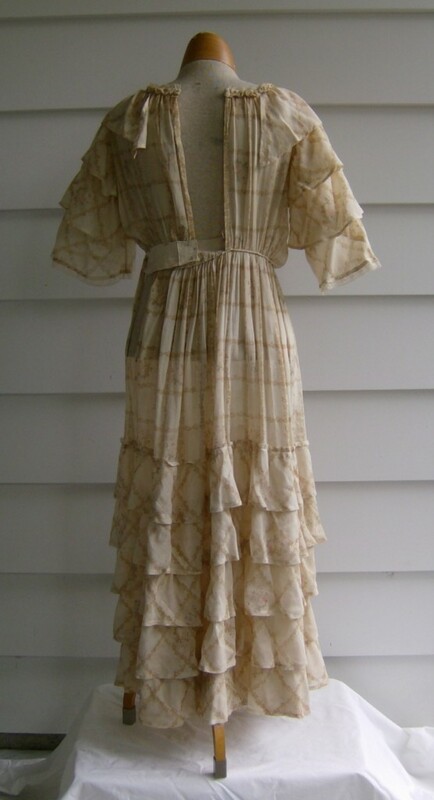 Selling a pretty vintage early 1900's dress made out of a soft gauze material. 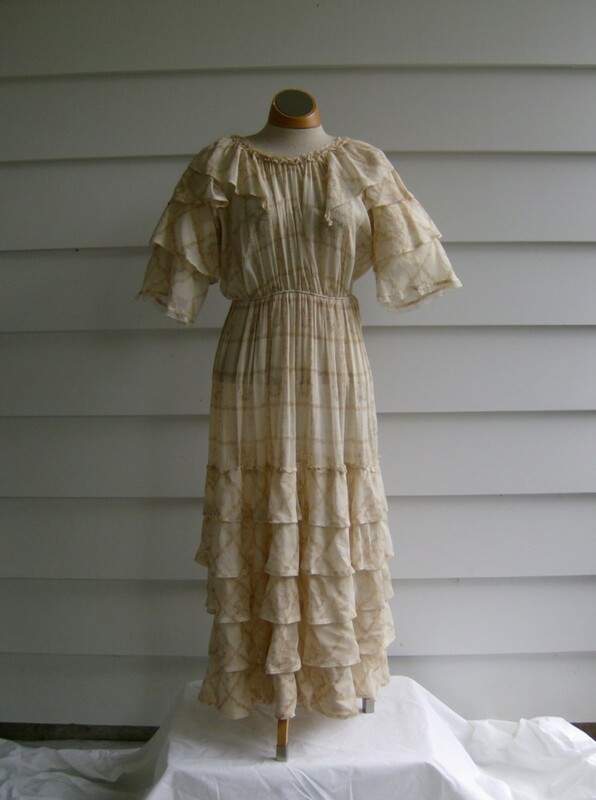 This sweet little dress has ruffles and more ruffles. 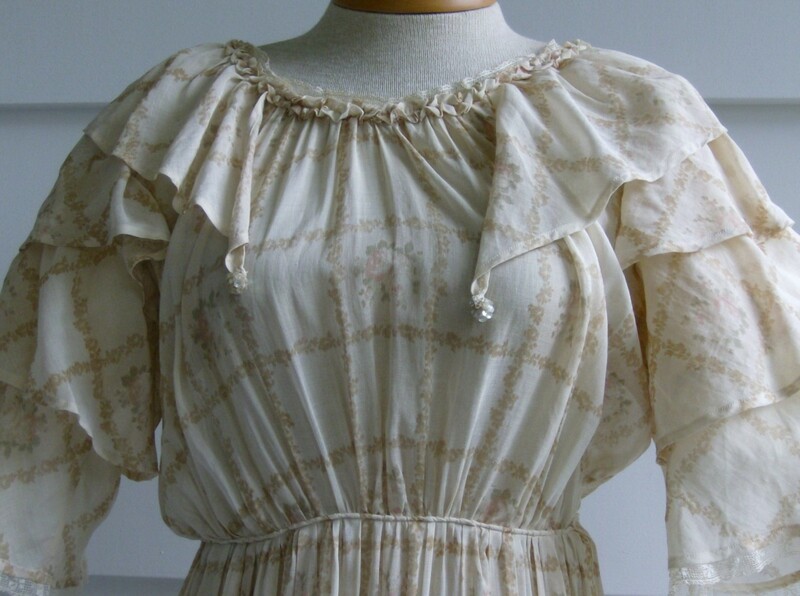 The sleeves are made of 3 layers of ruffles, the bottom one is trimmed with a dainty 1/2" lace. Gathered at the waist the skirt has 5 rows of ruffles from the knee to the hem. The neckline is round, made up of shirred fabric and trimmed with the same lace. 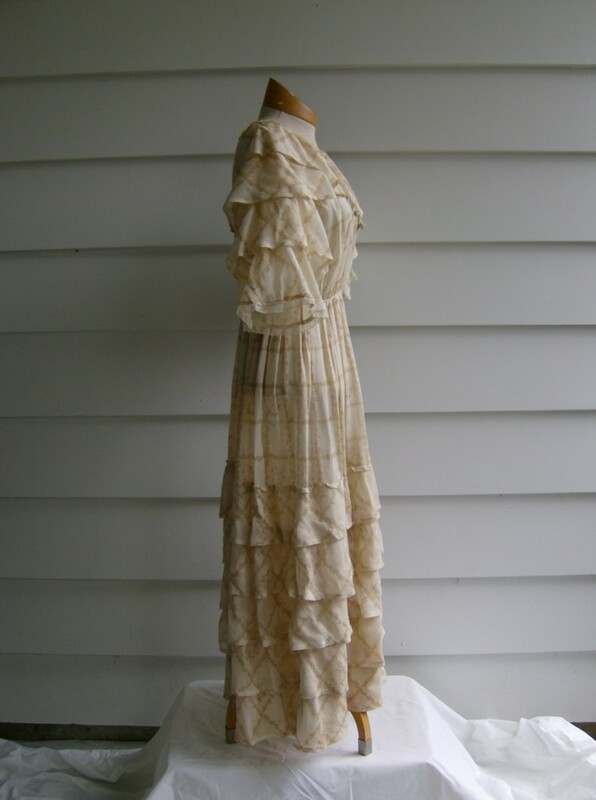 A ruffle is attached at the neckline andfalls over each shoulder. The points end in the front with 2 sequined balls. The dress has hook and eyes up the back. It does not close on our size 8 mannequin, so please check our measurements against an item from your closet. The fabric has a brown plaid pattern. The middle of some of the squares have 3 pink roses and green leaves. The fabric is in excellent shape with a little pull here and there. There are two 1/4" stains on the back waist, but no major stains or holes. Measuremnts are taken with the garment laid flat. The shoulder 14 1/2", bust 20" waist 11 3/4", hip 27". The length is 47" from shoulder seam to the hem.